The objective is to understanding of the the wellness and stress management of ER nurses, the factors and dynamics at play in their every day work, with a focus on bridging the gap between the current ER system and the nurses’ needs with respect to patient and self care. 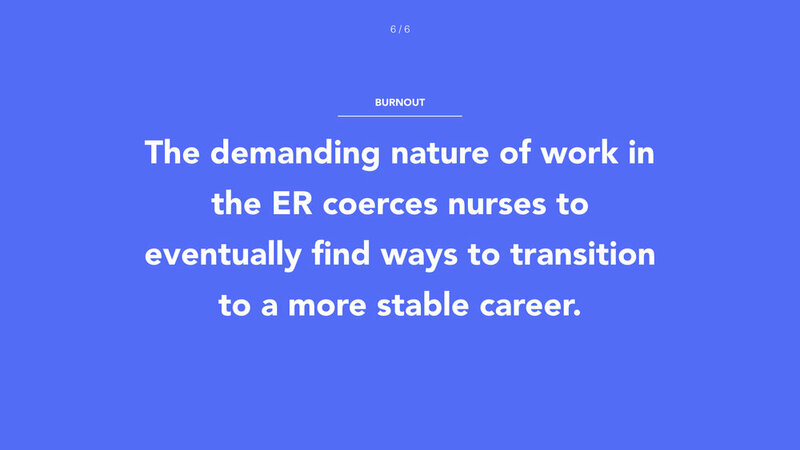 Create an holistic system for the ER nurses to enable them work more efficiently. respect to patient and self care? Recruiting ER nurses was one of the biggest challenge we faced. that, we also interviewed an ER nurse’s partner. Patients are conditioned to expect the same level of speed and service in healthcare like other services, and nurses bear the brunt when this is not possible. Charting is essential to management and insurance but it compromises nurse efficiency and takes time away from patient care. 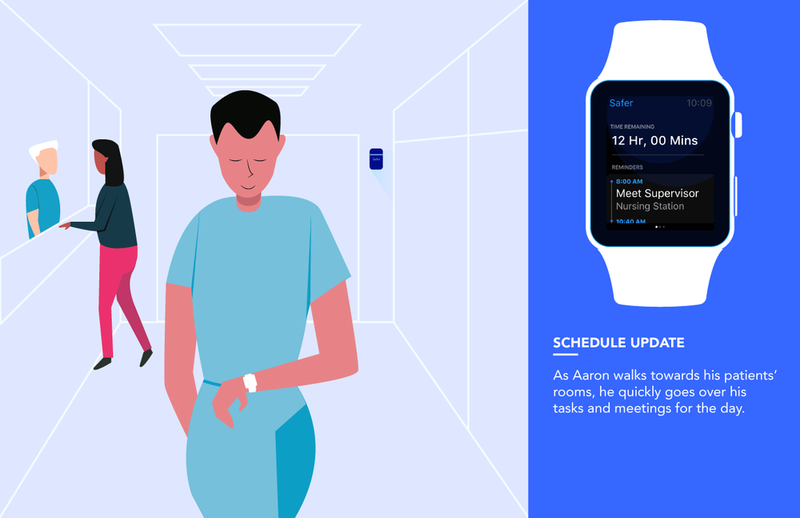 How might we streamline the charting process without compromising the needs and requirements of insurance & hospital management? 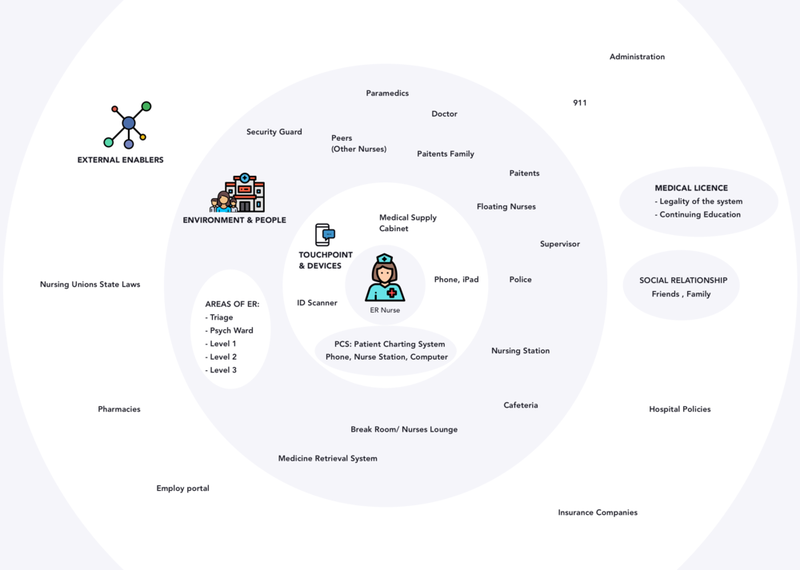 Based on our research, I mapped the ER nurse's ecosystem and factors that come to play in their day today life. Followed by service blueprint for better understanding for the actors involved and phases in their day. Based on the ER nurses journey, three touch points got discovered. Medicine names for the respective patient are transcribed and sent to the medicine cabinet where nurses are auto-logged into the system via a beacon on arrival. 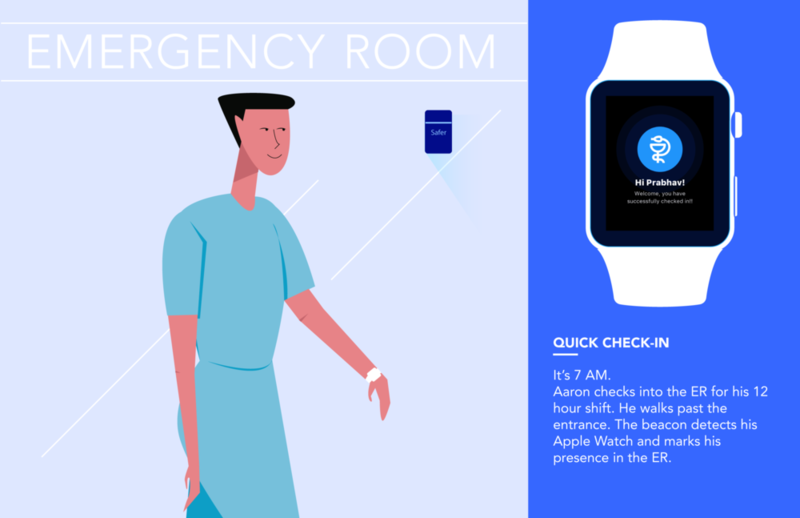 Quick check-in, check-out and attendance management through the beacon at the ER entry-point that connects to the Apple Watch. 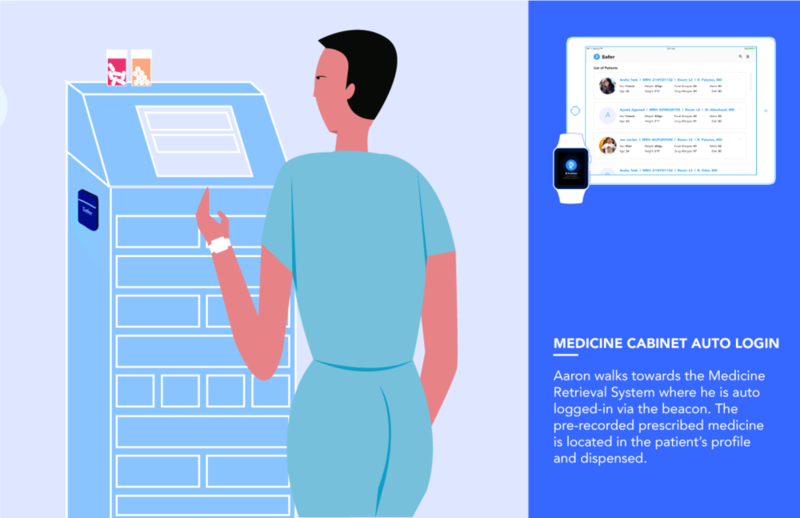 Beacons at the entrance, in the patient room and meds cabinet prioritise the interface on the nurses’ device based on their location in the ER. 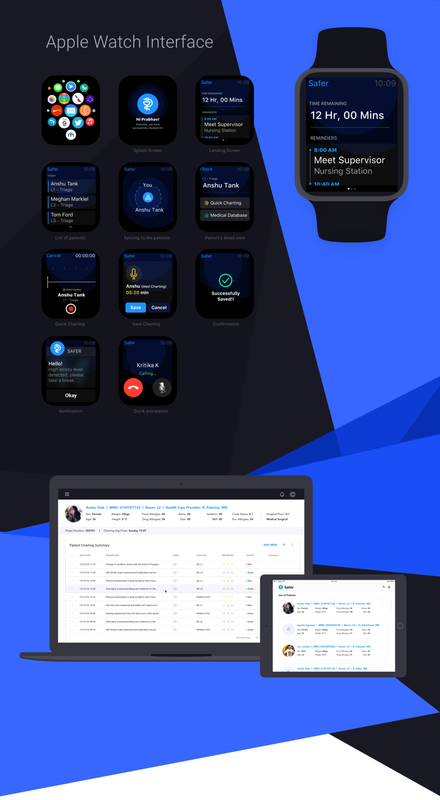 Quick charting via the Apple Watch app converts speech to text and directly inputs information to the workstation for final approval. Even after extensive research, there would a lot of gaps. Leverage on user testing, do even whenever you get the opportunity. It is going to surprise you, always. The deeper you go into the process, the simpler your design solution comes out. Understand the product ecosystem well before designing it. It will enable you to create scalable system.